The combination of A.C. Ace chassis and updated Ford 289 c.i. engine was a revelation when it hit the streets and race tracks of the world in 1963. Known as the Cobra, the little A.C., once married to big V8 power, was a giant killer. In competition trim, it left Corvettes in the dust and took the fight straight to Ferrari, Jaguar and Aston Martin! Clothed in beautiful roadster bodywork, the A.C. Cobra wasn't just a winner on the track, but was also champion of the streets. The definitive replica of the definitive sports car! 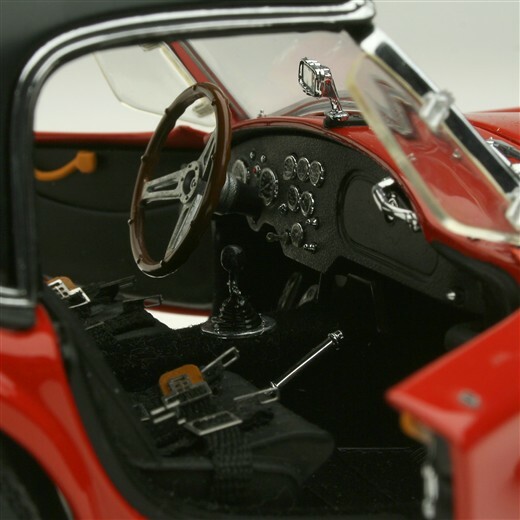 The Exoto team of dedicated enthusiasts put their minds and resources together in realizing the most ambitious project ever in the diecast modeling world: the grand 1:18 scale A.C. Cobra Roadster, paying homage to the definitive sports car! Exoto presents a miniature replica of the classic A.C. Cobra with stunning detail and accuracy. Beneath the hood with its accurate prop is the Ford 289 V8 engine. 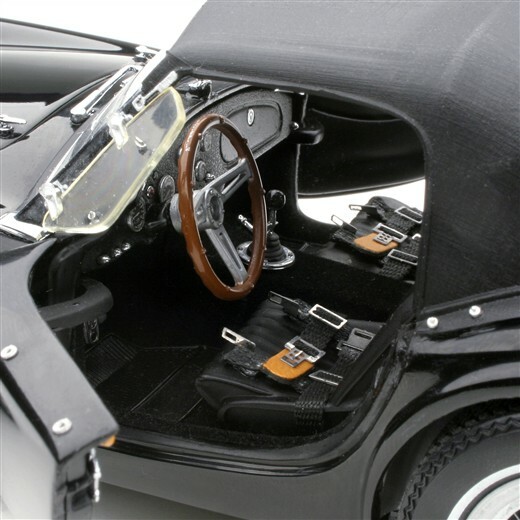 The interior was designed for road and track; Exoto's team has taken the greatest care to reproduce the cushioned leather seats and racing harnesses, the wood-rimmed steering wheel, and bright-beveled gauges. 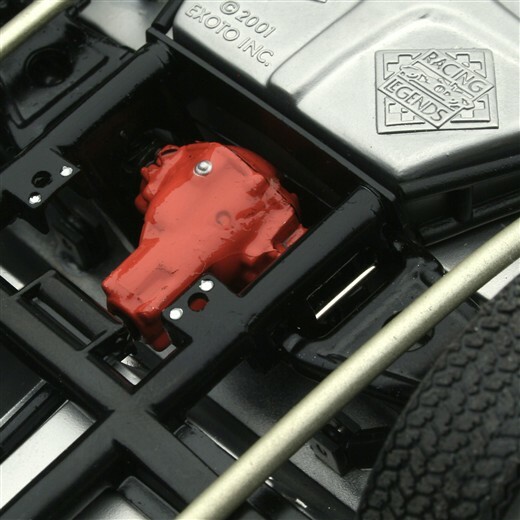 Under the car is an accurate suspension with functional steering and realistic leaf-springs. 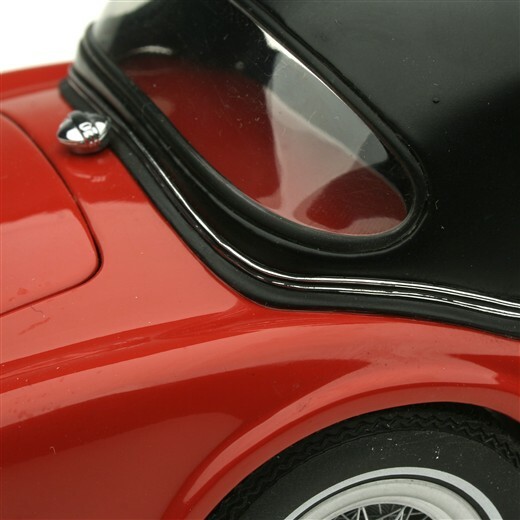 The trunk, held open by an accurate and realistic support, houses a real wire-spoked wheel with precisely formed spare tire like the four on the car. Are you ready to relive those historic and heroic moments? Jump in and let us take this ride together... reserve your own numbered, limited edition A.C. Cobra Roadster today -- call us or order on-line -- let us build one for you today!